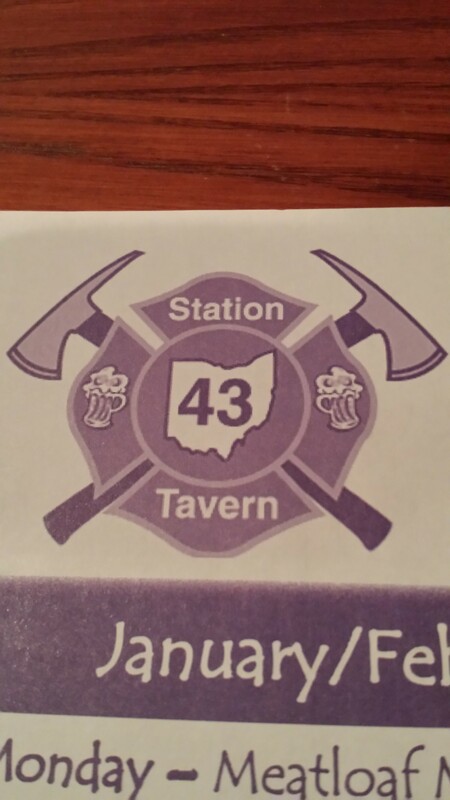 Station 43 is an amazing little jewel tucked away in Solon, OH. It can be found at 39910 Aurora Rd. Solon, OH 44139 for those who want to punch it into the GPS. While in Solon for some training we’ve been doing a lot of eating out. I’ve been hearing raves from the other trainees about this place and decided since we’re almost through training I should get out and try it! My buddy and I went out just the two of us and I was immediately impressed by the catering advertisement parked behind the building. There are two doors you can get in, front and back, if you come in the back, you can just walk over to the front door to the hostess station for seating. 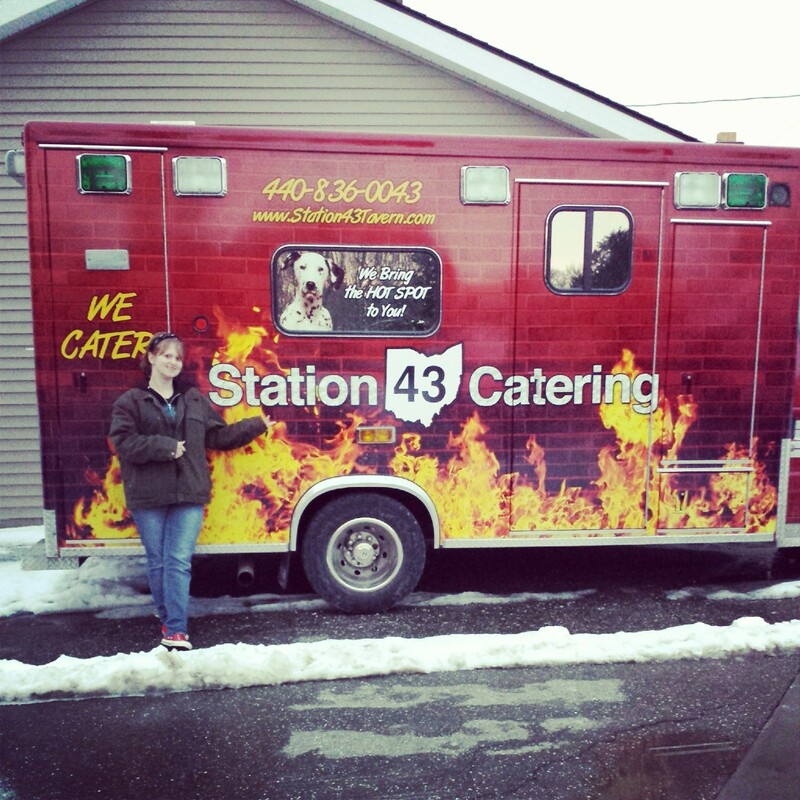 The catering ad should give it away, as well as the name of the restaurant, but the theme of it is firefighters. 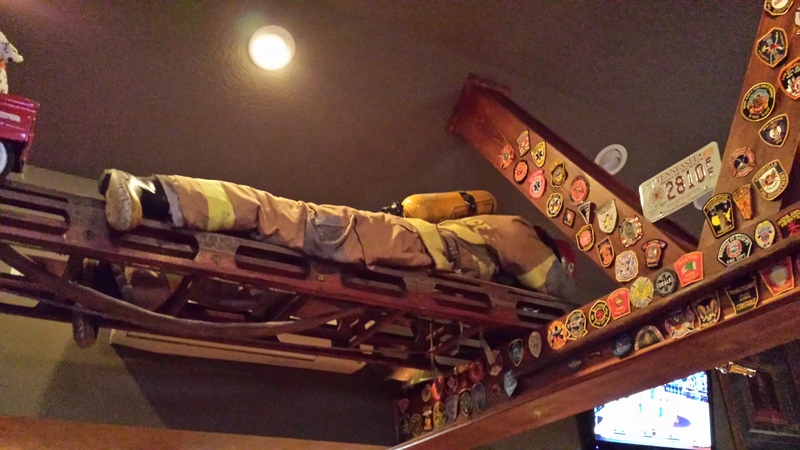 I think my favorite part of the décor was the turnout gear on the ladder. 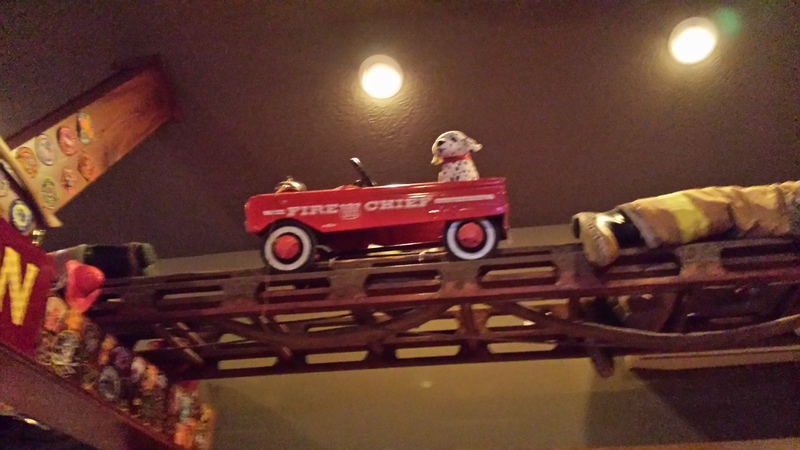 The little fire chief car on the ladder was also very cute! There was really too much for my to capture it all, but I got my favorites on my trusty S4. I learned from the website that one of the original owners was a firefighter, hence this beautiful tribute to the men and women in turnout gear and the canines that back them up. I was originally told that it was very pricey, but I can tell you that it is not! It’s not cheap, but for the meal you get, it’s worth every penny! I ordered the Station Combo, which included a half rack of ribs (delicious sauce! 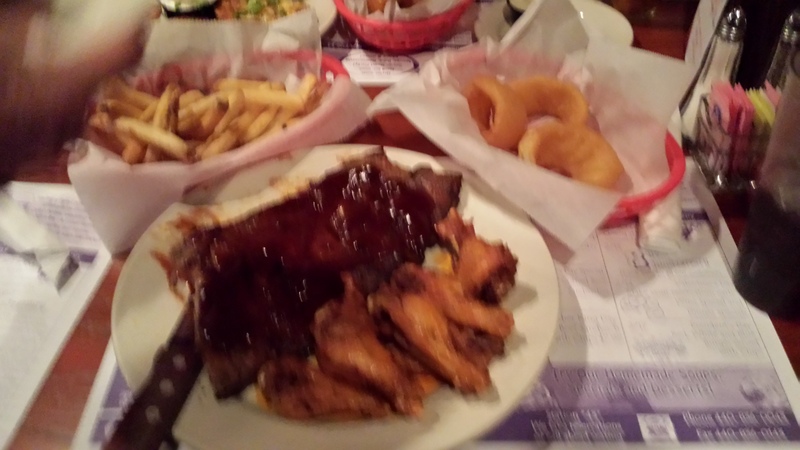 ), 6 wings, fries and coleslaw (you can substitute the sides with other choices, I went with onion rings). All that for less than $20! Doesn’t that look delicious?! I ended up eating everything except my ribs, those were my lunch the next day. The ribs were fantastic, hot and cold, with the meat practically falling off the bone. I know I’ll be coming back to this place with my family. 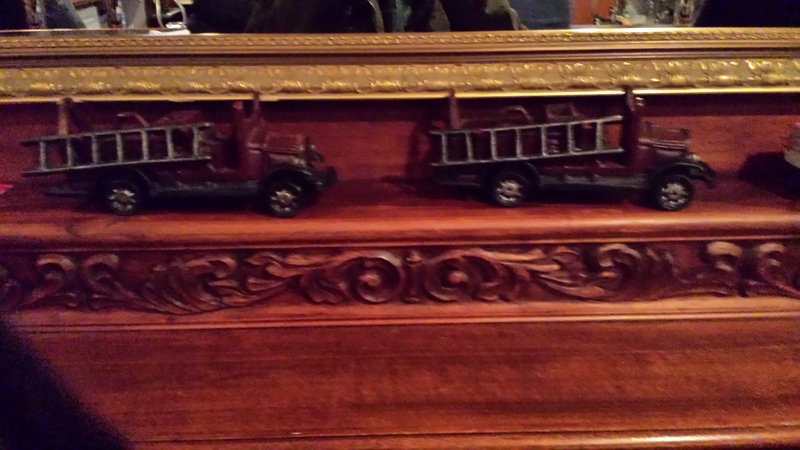 My wonderful husband, Tony, was a volunteer firefighter for several years in New York before we got married. I also have a lot of friends who wear turnout gear. If I can get my friend Christa and her family to come down to Ohio, I know that I’ll be taking her here for a meal, as her husband is a firefighter still. 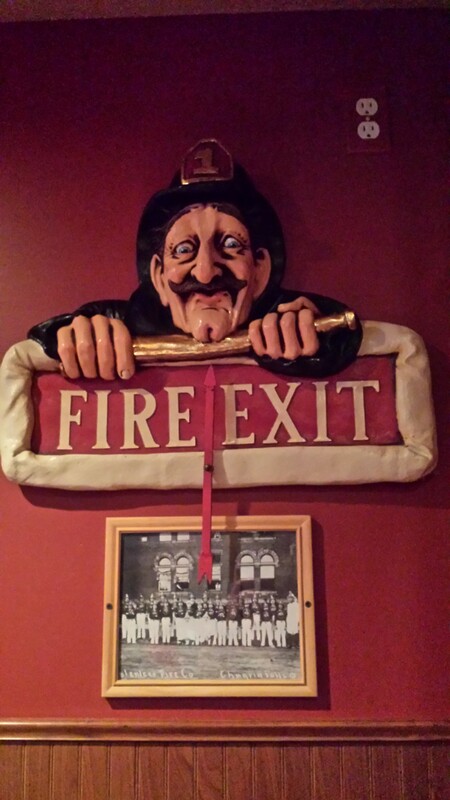 If you roll through Solon, or come close enough and have a soft spot for firefighters, be sure to stop in for some delicious food and amazing décor. Let me know if you enjoy it!